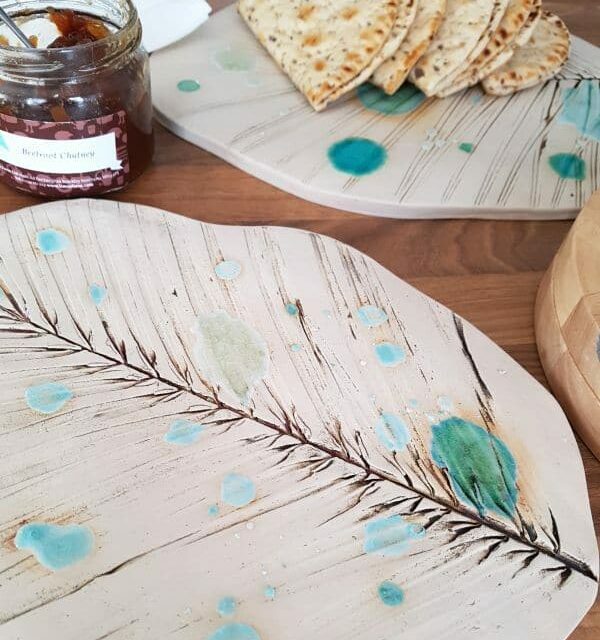 Handmade ceramic dishes from the Red Berries collection, perfect for autumn and winter. 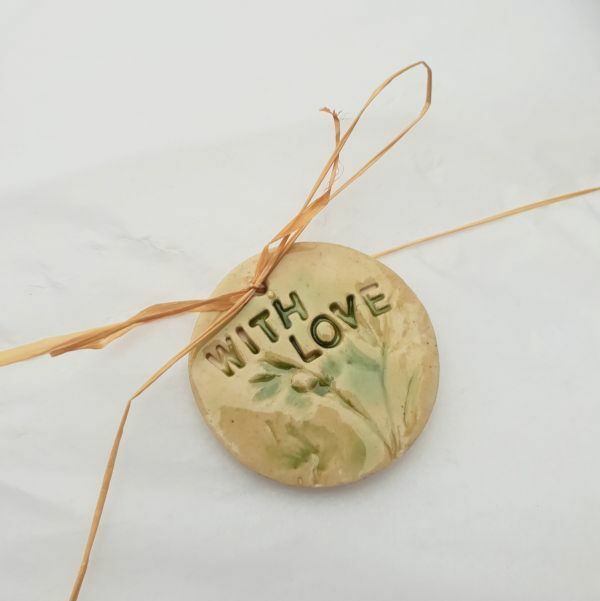 Real flowers hand picked from British hedgerows are impressed into the clay when soft, before constructing into forms. 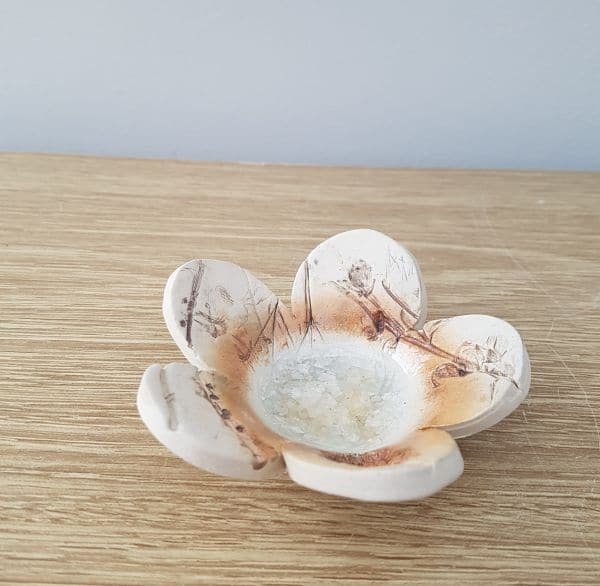 This particular bowl is a seconds piece, having a crack visible on the underside from the stem of a flower being impressed too deeply into the clay. The crack is hardly visible when viewing the top side of the bowl.